Watch the wedding in real-time and even throw a royal wedding of your own. The Ritz-Carlton threw a sold-out viewing party when Prince William and Kate Middleton tied the knot in 2011; now Prince Harry and Meghan Markle are getting the same treatment. Prince Harry—who is fifth in line for the throne behind brother Prince William and his three children—will marry American actress Meghan Markle on Saturday, May 19. If you didn’t exactly get the invite to head across the pond for the nuptials, you can still have a royal experience of your own. On the day of the wedding (May 19), the Ritz-Carlton D.C. is hosting a live viewing party in its Grand Ballroom, which will transform into Windsor Castle for the event. Guests can expect a breakfast spread fit for royalty, including custom omelettes, a pancake station and plenty of classic British fare. But be prepared to down a coffee on your way over; the viewing party starts at 6 a.m. Guests can watch the wedding in real-time while they enjoy a luxurious breakfast, custom decor and classic British music (all for the price tag of $75). Attendees can opt to upgrade for an overnight stay the evening before the early morning event. If the viewing party doesn’t cut for your refined taste, the Ritz-Carlton can help you throw your very own royal wedding in honor of Prince Harry and Meghan Markle. Newly engaged couples can purchase the Ritz-Carlton’s Crown Jewel Royal Wedding Experience, a $1 million package that includes everything from the venue to the cake to private jet rides to bridal fittings, all modeled after Harry and Meghan’s upcoming wedding. 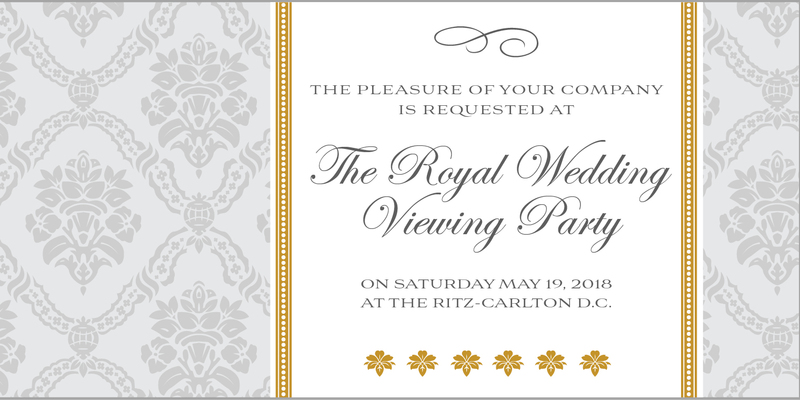 Viewing party tickets and Crown Jewel Royal Wedding package information can be found on the Ritz-Carlton website.